Hot on the heels of a 'prodigal sons returns' like show at the London International Ska Festival on Saturday night. English Beat front man Dave Wakeling is taking his band back to the birthplace of 2-Tone ska -- Coventry. 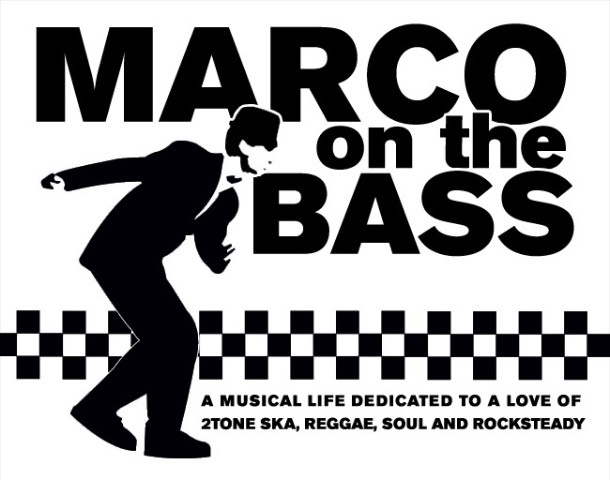 But before the band plays a homecoming show this Saturday night April 30th, Wakeling will lead a very lucky group of fans on a sponsored walk down the 2-Tone Trail, a nostalgic guided tour through the streets of the city that birthed the 2-Tone sound. Devised by 2-Tone Museum director Pete Chambers, the 2-Tone Trail will take a group of fans along on this step through the history of the key locations that played such an important part in the growth of 2-Tone. Accompanied by Chambers and Trail organizer Carole Quinney, Wakeling will return to a time when ska and punk beats were being fused to create a brand of music that not only had infectious rhythms but also had a unique social conscience too, effectively becoming a defining soundtrack to many fans who were living through a troubled times. Sites to be visited along the way are Coventry University (where The English Beat met The Specials founder Jerry Dammers and signed to 2-Tone Records), Central Library (once the site of Tiffany’s Nightclub where The English Beat once played) and 51 Albany Road (The Birthplace of 2-Tone). A stop-over is also arranged in the recently re-opened Albany Pub on Albany Road. 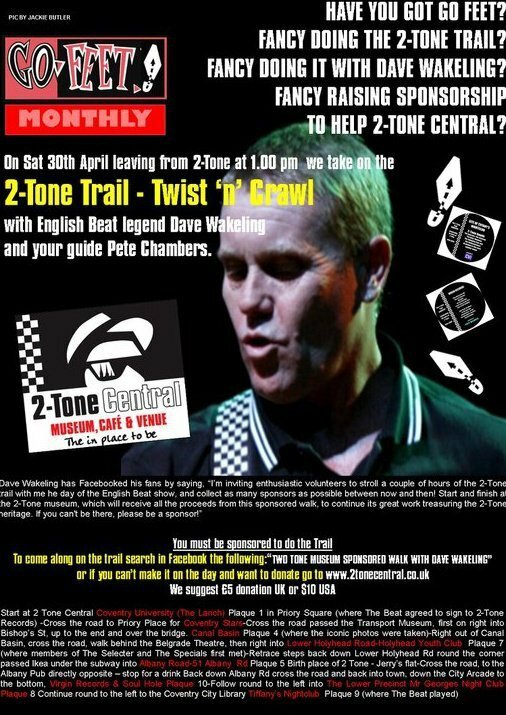 The sponsored 2-Tone Trail-Twist and Crawl, begins at 2-Tone Central at 1:00pm, but you must have sponsorship to take part in the Trail. Some lucky "Trailers" have been promised a chance of attending the band’s sound check at the venue. For more information, go to www.2tonecentral.co.uk.